SalajLand Easter Story, located near the central Croatian town of Čazma, opens today. Čazma is a town and municipality in Bjelovar-Bilogora County. It is part of Moslavina. The park will be open every day until 22 April from 3 pm until 10 pm. Entry for children up to seven years is free (except in organised groups). Also people with disabilities can enter for free. 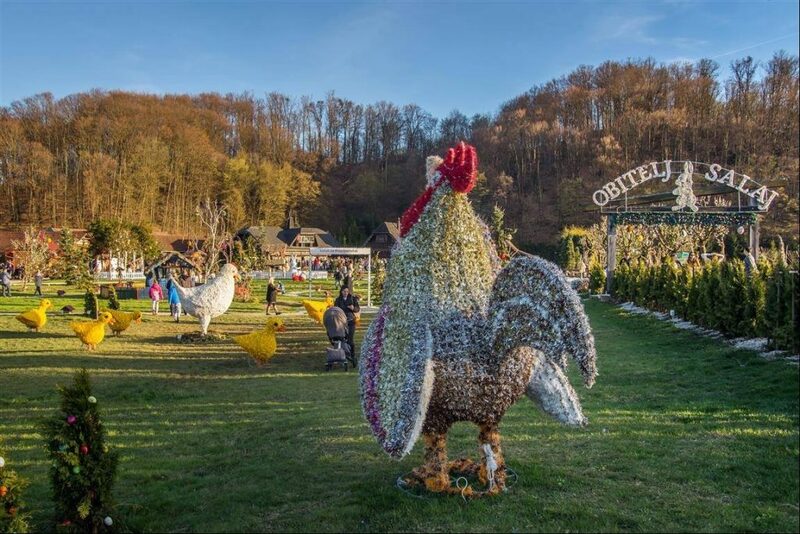 This year you can find more than 40,000 lighting decorative eggs, representation of Jesus tomb, a large train installation of straw, an extended promenade with a variety of 3D lightning elements and straw elements suitable for Easter – figures of chickens, rabbits, roosters, Easter eggs, baskets and similar. There is also plenty of additional content for children with Love Carpe Diem’s rich animation programme, mini games, creative workshops, egg searches, facepainting and various show programmes. Visitors can also try and buy various food products at stalls as well as handicrafts, souvenirs and gifts.